Since the launch of my co-authored book titled Are You Brand Dead?, we, the co-authors, have received positive feedback from many people. But what made my day was the review by Publishers Weekly. 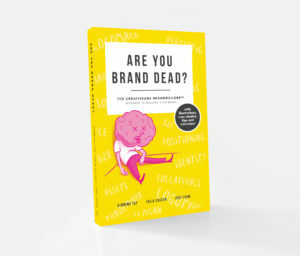 About Are You Brand Dead? 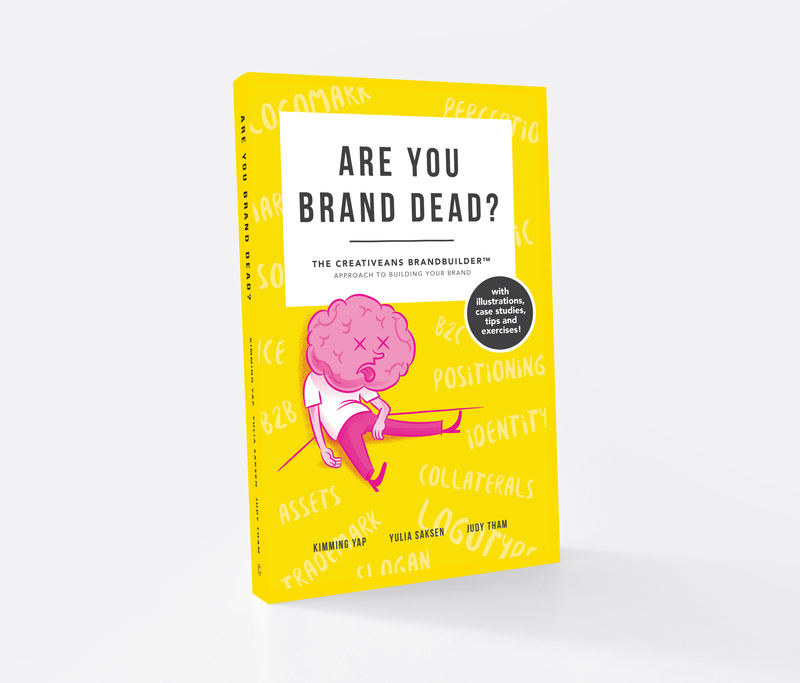 Are You Brand Dead? is a light-hearted and essential guide book for brand owners to help them unravel the mystery of branding and build a brand through a tried and proven methodology – the Creativeans BrandBuilder™. A practical companion for CEOs, entrepreneurs, marketers, communication specialists and business students, this self-guide allows those who want to learn about branding to do so easily, less the industry jargon. Published by Creativeans Pte Ltd, the book features step-by-step instructions on how to build a brand, self-assessments at the end of each chapter, and case studies on successful Asian and international brands that offer insights on how branding has helped these companies in their respective industries. The book is currently available at popular bookstores in Singapore, such as Kinokuniya, Times Bookstores and some Popular store, and on major online bookstores such as Amazon, Barnes & Noble and Book Depository (both paperback and ebook versions). Content is the backbone of any website; we all know it by now. It is no longer enough to simply introduce your products and services on your website. In the new web era, websites that frequently update and improve their content with useful information get the highest traffic. And of course, search engines love them too, and that matters, a lot. It is absolutely essential to gain people’s trust on the internet. And one of the ways of doing so is to show them that you are the authority in your field. Providing engaging and valuable content does exactly that. It lets them know that you know what you are talking about. And by allowing feedback and comments, it also helps to develop a personal relationship with your potential customers. In other words, it separates you from the other regular, run-of-the-mill marketers. So what types of content are we talking about here? The most valuable ones are probably non-commercial articles related to your company’s product or services, such as observations and commentaries on market trends, practical advice and tips that are helpful to your customers. For example, if you are selling women’s clothing, you can write about the latest fashion trends, do’s and don’ts on dressing up, which celebrity is wearing what, and so on. It makes visiting your website a more interesting and positive experience. The truth though is that it is not easy to develop content on a regular basis. Not every marketer has the time to do it. And not every marketing department is adequately staffed to churn out new materials for their company’s website all the time. A lot of them try to do so on an ad-hoc basis, but like many things, if you are not totally committed to a strategy, the result may not turn out to be as good as you have hoped for. Therefore, instead of trying to do it all by yourself, it is more effective to get professional copywriters to do it for you. Not only are they experienced in delivering good content in a strategic and focused way, they can also provide you with fresh perspectives on your company’s products and services. I think it is time for marketers to start evaluating their content strategy, and develop a more holistic approach that complements their overall marketing plan. They should also add a permanent “Content Development” section in their marketing plan and budget, if they have not already done so. The provision does not have to be substantial to begin with. Just carve out a small budget for a start and see how that works out for you. Are you writing your marketing plan any time soon? What’s your approach to your content strategy? Judy Tham is a freelance copywriter in Singapore. Please visit http://www.one-elephant.com for the range of copywriting services she provides. Check out this e-book by Brian Clark, the founder of Copyblogger and Scribe. It’s free! I find it very useful in understanding what creating online content is all about. Judy Tham is a freelance copywriter in Singapore. Please visit http://www.one-elephant.com for the range of services she provides.